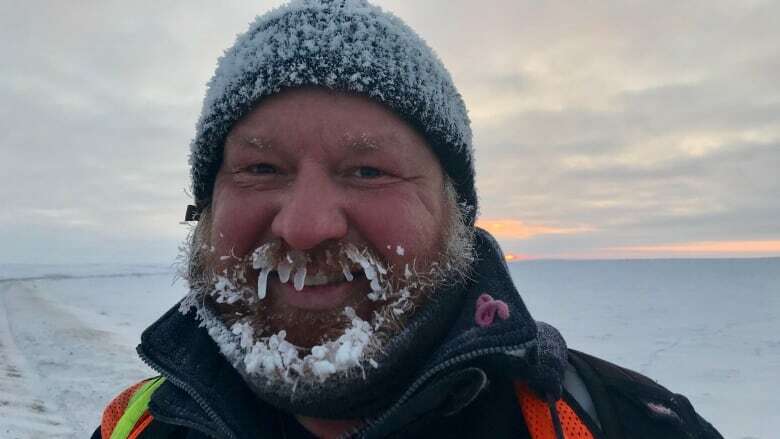 'I've walked for 10 years and I hiked the Trans Canada trail,' Dana Meise told CBC at a stop along the Inuvik Tuktoyaktuk Highway. Dana Meise has been walking for a long time. 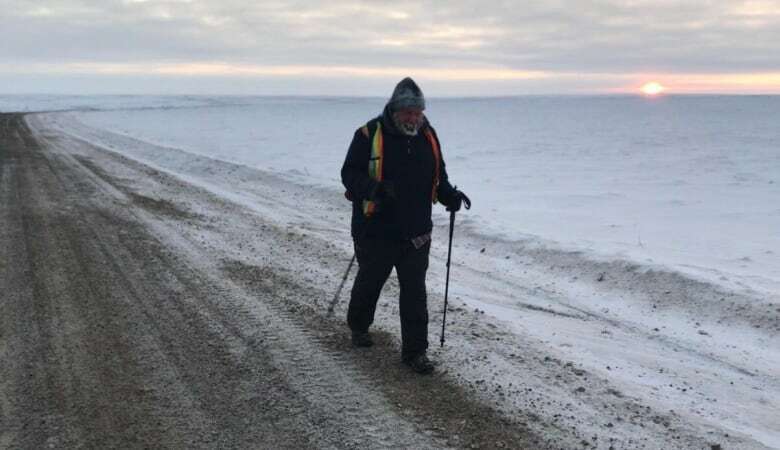 "I've walked for 10 years and I hiked the Trans Canada trail," he told CBC at a stop along the Inuvik Tuktoyaktuk Highway. 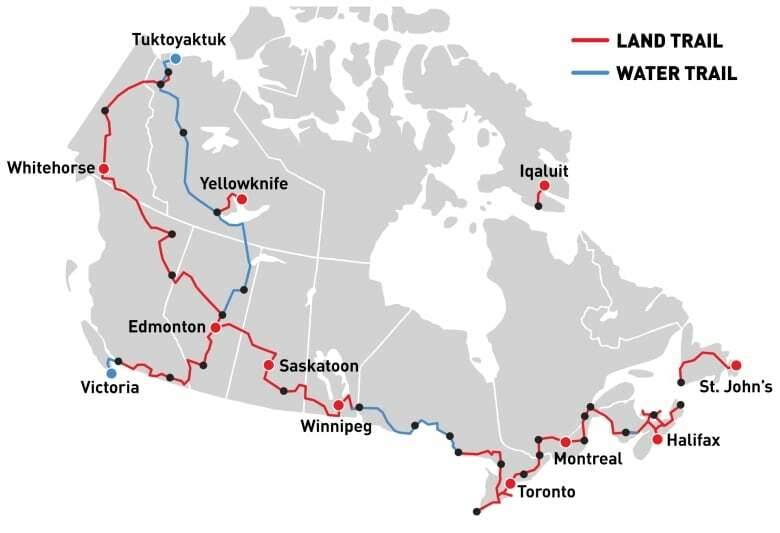 In the grand scheme of things, the 138-kilometre highway is a walk in the park compared to the rest of his decade-long, 21,000-kilometre journey. Completing this hike makes Meise the first person to touch all three coasts on the Trans Canada Trail. He was inspired to start this journey after his father lost his ability to walk. "He really liked to explore, so it was just this clicking moment where I was like, 'Dad, I'll walk enough for the both of us,'" Meise said. 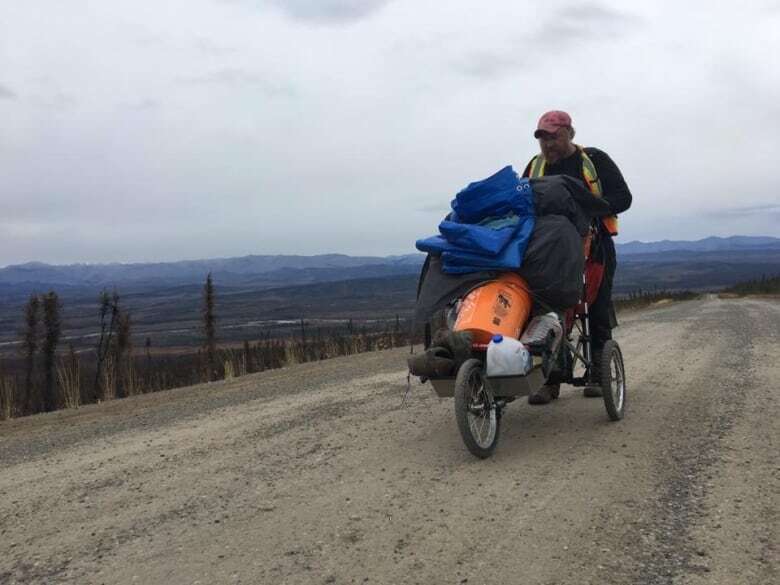 Between a nasty fall earlier this month that briefly put him in hospital, family emergencies, and his tent getting shredded by ravens, Meise said it's been a challenge to finish this final stretch. "I should have been done weeks ago and then I wouldn't have to go through all this cold," he said. At night, he said it's dropped as low as -40 degrees with the wind, and he got a nip of frostbite earlier this week. Nevertheless, on Thursday evening he made it to Tuktoyaktuk, completing his lifelong dream; and it's in part thanks to the community. "Luckily the people of Tuk have really rallied for me," he said. "Without them I don't think I could have actually completed [this]. And I was so close, so I'm extremely grateful." Technically, Meise had already reached his final destination several times before Thursday night. People stopped on the side of the road to drive him to Tuktoyaktuk to spend the night, then they would drop him where he left off the next morning. "As much as I'm super excited to finish … I'm also excited to get home," he said. For half the year Meise would go back to work as a forestry technician in Prince George, B.C. ; he was also out of commission for three years after a workplace accident in 2015. "[I think about] how I'd feel if I quit," he said. He hopes to turn his adventure into a book and a documentary.